I was looking at the etymology for “matter”. One word has a lot to tell. There is “physical matter“, as in the reality, existence and universe that we exist in. There are “daily matters“, as in events in our lives. There is “something that matters“, as in something important. There is “what’s the matter“, as in a problem for our concern. There is the “matter at hand“, as in a situation. Looking at the etymology of the word “matter” shows how these phrases interrelate and why they use the same word, spelt the same way, to express the contextual variations of one underlying theme. “Physical matter” is the most apparent substance, content and material of the existence, universe and reality we live in. The “matter at hand” of situations refers to the current subject of thought, speech or expression. It’s about a subject, theme, topic that relates to “physical matter” through an identification of some substance, content or material that the “physical matter” represents. “Something that matters” is important to someone because they view it as having a substantial worth to them in some way, either real or imaginary. “What’s the matter” deals with the current situation (matter at hand) but in a troubling concern for a difficulty at the “heart” or substance (matter) of the situation or problem. Even deeper etymologically, we see that matter’s meaning comes from that substantive inner core and not the external form that something takes the shape or appearance of. Not the bark, but the inner wood. This is the “heart“, the core. Courage and heart comes from Latin “cor“, and PIE “ker“. In this breakdown, it relates to domain, house, and timber. This relates to the home being the substance of central importance in most people’s lives throughout history. This ties into the previous explanation regarding what “matters”, i.e. what’s important, and the timber and wood connection of the inner wood substance as opposed to the outer bark appearance. The outer house form is made of wood, but the inner-core of the wood, (the heart of the “tree”) the home, is the substance that matters more. In all of the etymological explanations relating to the word “matter”, it’s referencing the physical matter of reality, or daily matters of existence that are created through interaction in the physical matter of reality. There is “thought, speech and expression” of “subjects, themes, topics”, relating to some “substance, content or material” in reality that happened, manifested, exists or existed. Those three quotes are all given in the etymology. Also, going back to the evolution from the first languages, the vowels are interchangeable often, and some consonants can be interchanged. One such replacement is with the letters M and N. Removing the vowels produces the transition: m-t-r –> n-t-r. Taking the word “mater” you get “nater”, and that is essentially “nature”. Mater/matter is rooted in mother, nature is the “mother of all”, Mother Nature. Already we can see how nature and mater/matter relate to mother. Matter and mother are thesame when we reduce them to m-t-r.
Substance, essence, inner core content, being, source, principle, important, quality. All of this is related. What do we need in life in order to create True Freedom and Peace? We need the quality important values and Principles of Life to be understood. That is Moral Truth/Law. This is what the substance and essence of authentic, actualized, individuated living is. We can bring the source, substantial, essential nature of what is principle and most important into our core of being, our “heart“, our consciousness, which is Moral Truth/Law. Harmonizing, uniting and aligning with Moral Truth. Well, we can find out how as we keep digging into the etymology and have the eyes to see what is being described. By following the etymology we have uncovered some central aspects of life, but we are only able to do so because we can “see” certain aspects of reality that allow us to correspond and interlink in a larger pattern of reference. Matter matters. Matter and reality is real, not an illusion. Things come into existence and interrelate. 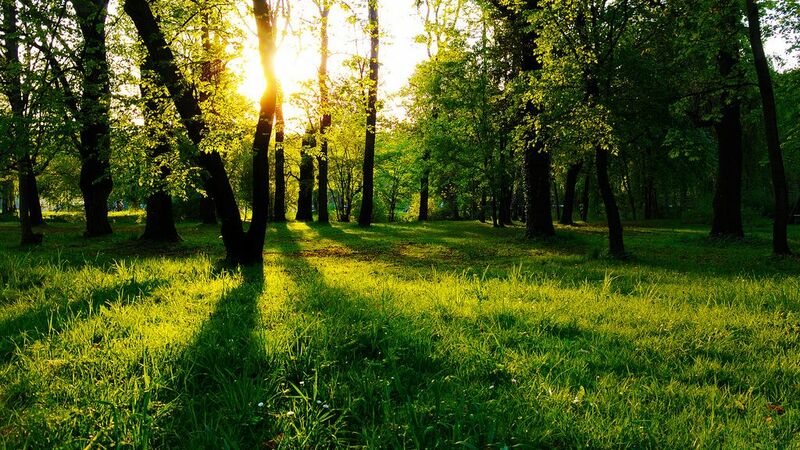 I have talked about the symbolism of green from nature before, relating to rebirth, resurrection and being reborn anew into an “afterlife”, “eternal life”, “paradise”, “heaven”, “New World”. To be born is to become, to be produced, to be generated, to be created. We can continually apply a rebirthing process in our lives over and over. To regenerate and reproduce ourselves into more refined, purified, substantive, essential versions of who we are choosing to be, more in alignment with who we all should be and are, at the core which is our potential to be a truer self, a higher self. The falser inauthentic self of conditioning into untruth and immorality is preventing us from realizing, actualizing and becoming the core values and virtues (principles of living) we deep down have to capacity to express. When we remove the illusions of false appearances and distractions, and the cognitive distortions from delusional thinking, we can find our way to the substantive, essential, core, important source nature in our being. 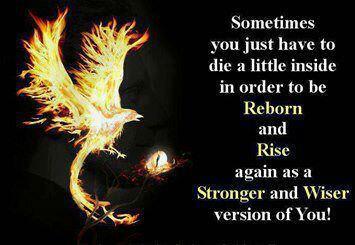 We can get to realize and actualize ourselves in Unity with Truth and Moral Truth/Law by being arisen or born again, rising from the ashes like the phoenix, as an alchemical process of self-renewal. This is at first a process of awakening from the inauthentic, unawakened, uninitiated, unbegun, unarisen, unactualized, unrealized and “dead”shadows and shells of the our potential truer, higher realer selves. Reawaken. Rebirth. Resurrect. Begin. Initiate. Begin and initiate the journey on the Path andWay towards ever greater truth and morality. This is a birthing process through the womb of nature, mater, matter, mother, universe, reality we exist and operate in throughout life. It is an Understanding through Processing of Input and Knowledge from that which exists and is manifested now or in the past, that can lead us to the Wisdom of Right-Action and Output quality behavior into the world. This is the Circle of Life, the Wheel of Life. It’s how we learn to perceive, conceive, understand, navigate and function in reality. We submerge into a “black hole” or “rabbit hole”* of knowledge, an occulted dark, chaotic and unknown aspect of the womb of our mother, nature, reality, and dig deep to face the honest reality about ourselves and the world we live in. We can be unconscious automatic slow learners in this process, or we can take charge with the Strength, Courage and Will to do so with our Conscious Awareness and Care to better ourselves and the world we live in. This is alchemy: changing ourselves to change the world, and helping others do the same. Other “matter” stays as it is for the most part, but we have the opportunity to change in vast, amazing, incredible and infinite ways through the Power of Consciousness. We are very powerful beings. Our bodies are always our bodies. We are always us in that sense. But who we choose to be, what we choose to do, how we think, how we respond to things (response-ability), can be changed infinitely. This power only happens in higher consciousness beings. If we choose not to decide to actively take the journey, we still have made a choice. The same is so with ignorance of this capability and power we have. We’re either choosing to do this work on ourselves, or we’re choosing to not do this work. That is ultimately the biggest difference when it comes to human animals and nonhuman animals. Same in kind (kingdom of animal kind), difference in degree (of consciousness). We all have consciousness, we feel, we think, but our human thinking is much different and capable of more imagination and creativity, to change ourselves from the inside and reflect that internal nature onto the world through our behavior. That enables us to do great ranges of good, or to do great ranges of evil. We have great power, and with great power comes great responsibility. Our lives can go by with little substantive, essential change to our consciousness, psyche, mind, emotions, and way we live. This is what currently happens for a large portion of us. We just live our lives, in the moment, in the “now”, and that is that, enjoy yourself, have fun, seek pleasure from day to day, week to week, looking forward to weeknights, weekends and vacations where we have our time to do what we want outside of our jobs. We have greater power and ability for reflection, contemplation, introspection and active meditation (Greek phrazomai “I speak to myself”. Most people do not take advantage of this, and go on living the systemic loop of programmed existence as a falser self,conditioned by society. They pass by like any animal, in the moment, in the now — not looking at the past history to learn to not repeat mistakes, or looking at the future to see what we are doing to ourselves and what is coming down the pipe — just going along to get along,riding the wave, and living the cyclical loop of repetition with no real change. We want to change and improve the world, yet also want to keep it just the way it is in many ways. We want to change something, but we don’t want to let go of underlying systemic poisoning that infects our lives with falsity and false living. We want to eat our cake (that which is desired to be better), but we want to keep it too (the things we are attached to that prevent change for the better). 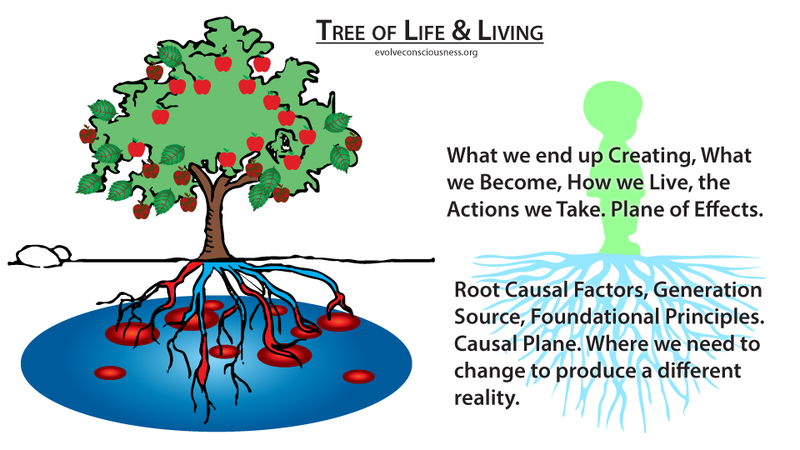 We are going around in circles, not digging deep enough to uncover the underlying root causal core foundational factors that produce the conditions we do not want to live in. We need to refocus on what matters, that which is most important, essential, substantive, the real capital in our lives: Moral Truth. Our work is to be done here, in the now, on the ground in matter that matters, if we are to change anything for the better. Not float into the clouds of fantasy about other realms, other dimensions, or an afterlife or heaven somewhere else int he future. That is the real “be here now”, to be grounded in reality and not fantasy. We don’t live at the microcosmic quantum level. We live at the macrocosmic level of matter that matters. The metaphysical immaterial realm of consciousness, with ideas and imagination, is where we learn and construct our understanding, but the physical realm of matter is where we act and construct the world we live in, either through wisdom or foolishness.